Science has been the defining factor in human history that has brought humanity from stone age to the realms of modern marvels. If necessity is the mother of all inventions, engineering is the skill to transpire ideas into reality. It’s human ingenuity from the invention of wheel to artificial intelligence that has made human race the master of our planet. Engineering is more of an aptitude than an educational course. The seeds of this aptitude must be germinated at early standards of schooling to reap its fruit later. As logical and analytical based thinking not only excels academically but build and improve on the existing technology, for the idea of engineering is not limited to sustenance of technology but it strives for an upgrade. Hence importance should be given to Physics, Chemistry and Mathematics during Senior Secondary and Higher Senior Secondary Education. Nowadays much importance is given to parallel coaching over school academics to crack engineering entrance examinations. Some of these entrance level examinations are given as follows. 2) JEE Advanced : The JEE Advanced is the second stage of the Joint Entrance Examination(JEE) Main, the common entrance examination for engineering admissions to 16 IITs and ISM, Dhanbad. 3) BITSAT : The Birla Institute of Technology and Science(BITS) Admission Test is for admissions to the engineering degree courses at the BITS campuses in Pilani, Goa and Hyderabad. 4) VITEEE : The VIT Engineering Entrance Examination is conducted by the Vellore Institute of Technology for providing admissions to the engineering degree courses at its campuses – VIT Vellore and Chennai. 5) SRMEEE : The SRM University Engineering Entrance Examination is conducted for admissions to the undergraduate engineering courses across the campuses of the SRM University. Successful and eligible candidates are then given choices to join their desired engineering colleges and universities based on their scores. Top 10 engineering institutes according to India Today Group are as follows. 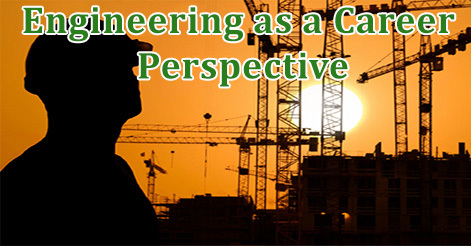 Engineering contains a large number of job opportunities and specialties. We’ve selected a list of specialties below. – Aerospace Engineer : Aerospace engineering deals with the design, development, and production of air and spacecraft. – Agricultural Engineer : Agricultural engineering covers subjects from aquaculture (raising food sources that thrive in water), to land farming and forestry. – Automotive Engineer : Automotive engineers research, design and develop vehicles and their subsystems. They work with sophisticated and ever-changing technologies to create products that enhances road safety and travel comfort. – Biomedical Engineer : Biomedical engineers work with a combination of biology, medicine and engineering. They are trained to analyze and design solutions that will improve longevity to meets ever challenging requirements of health care. Chemical Engineer : Chemical engineers utilize their knowledge of the physical world to manipulate the interactions of individual atoms and molecules. This field serve basis to several other streams such as Petrochemical and biomedical engineering. Civil Engineer : Civil or construction engineers specialize in road, bridge, buildings and water supply system designs and its construction. They supervise and direct construction teams to ensure that every structure built is environmentally compliant and can withstand natural disasters. – Computer Engineer : Computer Engineers develop and improve the software programs and hardware that is the soul and body of the IT industry. Computer Engineers may specialize in either software or hardware. – Electrical Engineer : Electrical engineers specialize in power supply and generation. They design, develop, test and supervise electrical equipment manufacturing. – Electronics Engineer : Electronics is the technology associated with electronic circuits and systems, and is one of the major branches of electrical engineering. Marine Engineer : Marine Engineers are responsible for the design and construction of seagoing vessels and structures, focusing primarily on their internal systems. Simply put, they design the onboard electrical, environmental and propulsion systems aboard everything from oil platforms to cruise ships. Mechanical Engineer : Mechanical engineering is the study of motion, energy and force. The mechanical engineer seeks to control these elements by using a combination of material, human and economic resources to develop mechanical solutions that help satisfy the needs and wants of society. Petroleum Engineer : Petroleum engineers specialize in designing and developing technology and methods for digging the earth’s surface to extract oil and gas. In addition, petroleum engineers explore and discover new techniques to extract oil and gas from older wells all over the world. 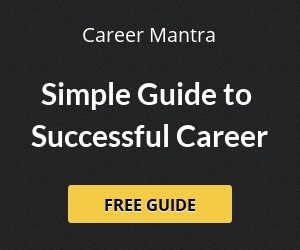 Help us to improve this article/job posting "Engineering as a Career Perspective". We would be glad if you can comment below and provide your valuable suggestions and feedback. If this page have any wrong information/list or out of context content, then you can report us as well. Uttarakhand latest, upcoming Govt Jobs and direct recruitment in 2018. Get sarkari naukri updates with online application forms, last dates, how to apply, contact details and other important information to get your dream job. Disclaimer: Uttarakhand Government Jobs website is neither affiliated nor associated with any Govt Departments, Public or Private Institutions. This website updates latest recruitment and vacancy in various Govt Organisations of Uttarakhand and India and should be used for information purpose only and it may contains outdated information and links. For latest updates please contact the official website of respective recruiter or govt department.